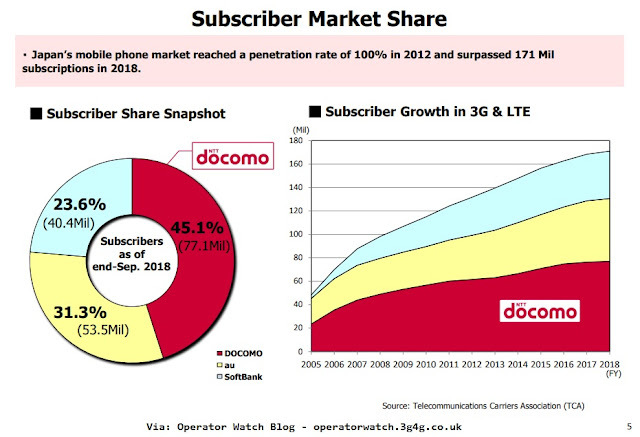 NTT Docomo provides a complete breakdown of it's mobile subscribers which is available here. The forecast is to have 78.1 million subscribers by Q3 2019. Softbank on the other hand, has 33 million mobile subscribers and 7 million broadband subscribers according to their web page. Their broadband service contains of Softbank Air which is high speed 4G wireless internet as well as Optic Fiber service.